Bad breath, frequent dentals, this dental spray is a must! "I understand the importance of mouth health in my dogs being as important as oral health in people, but brushing my dog’s teeth regularly was time consuming, and I sometimes did not have time to care for their teeth the way I wanted. So I did some research and was encouraged, then I did more research. 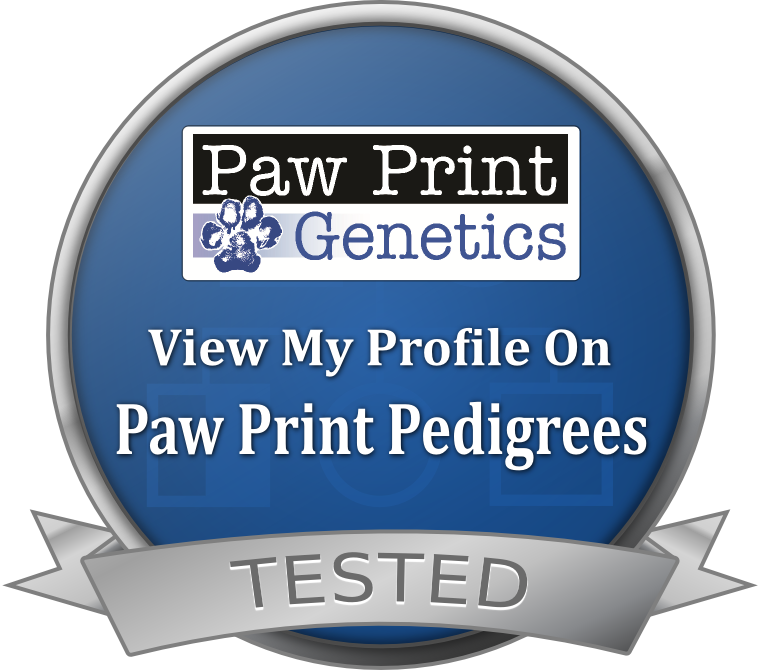 I had found some products on the market that looked easy to use but their ingredients were not safe for my breeding dogs. Some had information to call poison control if ingested. I sure didn’t want that for my dogs. After many hours of research and development with Divine help I have created a mouth spray that is SAFE and EFFECTIVE for my breeding dogs with results that are truely amazing." The idea of Susan Sinclair’s ASSURE‘s use is to use every 3 to 4 days. Just “spray it, and forget it“…If you miss a day, no big deal, just “spray it and forget it“. It will help with bad breath almost immediately and will clean and whiten your dogs teeth over time while enhancing their overall gum health. Simply lift your dog’s lip from the side, spray the recommended amount, and that’s it! No need to spray all around, just spray from the side and forget it. I encourage you to take a picture of your dog’s teeth before use and take another after four weeks. You will be amazed. We raise puppies for PETS & SERVICE COMPANIONS, not breeding stock. Transport is the buyers responsibility. Shipping is available for $250. We accept PayPal with a 3.7% fee added. Puppies are spoken for on a first deposit, first serve basis. We require $400 to hold your puppy. We will contact those on our waiting list when we are for sure mama is expecting. And we will start taking deposits when the babies have arrived and we know colors and genders, etc. Puppies must be paid for in full before leaving. Cash upon pick up and personal checks/money orders/cashier's check/PayPal 2 weeks prior to shipping. Will you need your puppy shipped? If yes, what is your nearest large airport? What brand kibble do you plan to use? Or have you considered feeding a home made diet? Are you comfortable waiting 12-18 months to spay/nueter your puppy? Are you willing to watch a DVD series on preventing pet cancer, holisitc pet care and treatment? Thank you for inquiring about Painted Blessing's Cavaliers!!! We look forward to meeting you and hope we can find you your perfect furry match made in heaven!!! We are located 44 miles east of Springfield, Missouri.